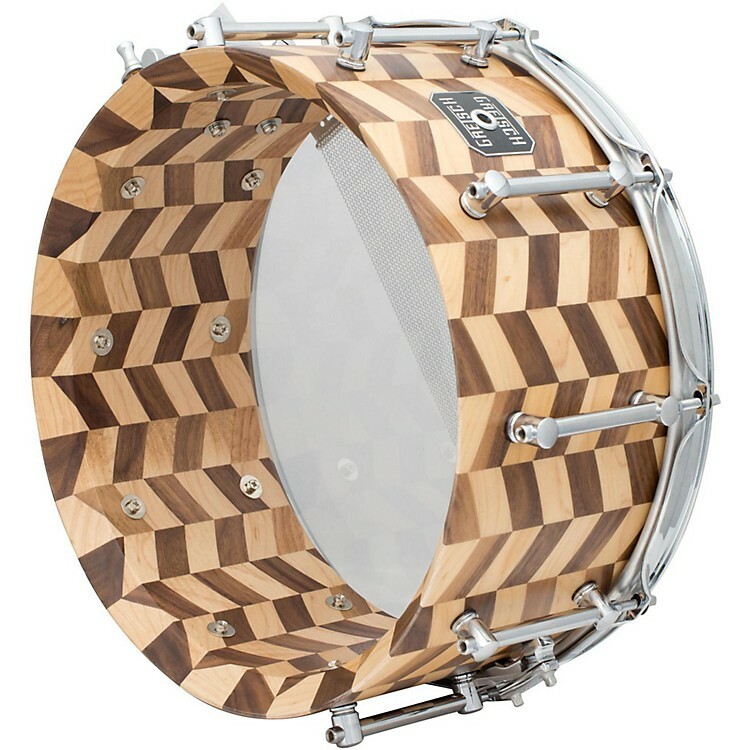 A two-tone maple and walnut stave snare from Gretsch. Gold Series drums by Gretsch use high-grade materials consisting of boutique-level craftsmanship and appointments. Gold Series snares are designed for the discerning player that is looking to add a new, unique sound to their drum kit. The Zig Zag Stave Snare from Gretsch features a 14 x 6-1/2" shell constructed of 30 individual 7/8" colorful maple and walnut staves and outputs a tone with the warmth of maple and the attack of walnut. This drum is fitted with heavy-duty 3mm tripled flanged hoops for commanding rimshots and an adjustable side pull throw-off with a fixed buttplate.